People make honest mistakes on their tax returns all the time, which is why the Internal Revenue Service accepts amended returns. Amending your taxes doesn't automatically mean you'll be hit with penalties. But if after correcting a return you end up owing more in tax than you originally figured, not only can penalties apply, but interest is charged on the tax underpayment as well. Regardless of whether your original return was filed on Form 1040, 1040A or 1040EZ, amended tax returns always are filed on Form 1040X. The 1040X has three columns, the first of which -- column A -- is where you'll enter the information as it appears on the original return. Column C is where you'll enter the corrected amounts for each line item that is being updated, while column B is used to show the net change for each line. For example, if the reason you're amending your return is because you forgot to report some income, you'll enter the new income figure on the “Adjusted gross income” line in column C and update all other line items that are impacted by the change, such as taxable income. Since your tax may increase, you'll end up owing the IRS. The amount of tax you underpaid, however, is subject to interest charges and possibly one or more penalties. When you fail to make a tax payment with your 1040X, the IRS may send you a bill and request payment. If you don't pay the bill within 21 days of receiving it, the agency can start charging a late-payment penalty on the underpayment. 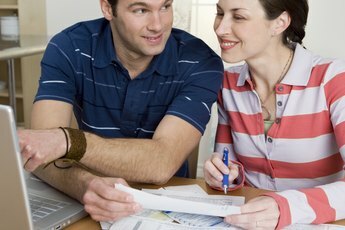 The late-payment penalty can increase the tax you owe up to 25 percent and accrues at the rate of one-half of one percent for each month, or part of the month, your payment is late -- though the IRS does have discretionary authority to waive the penalty if your circumstances warrant it. Monthly interest charges -- which can't be waived by the IRS -- also increase the unpaid tax balance indefinitely and applies retroactively to the return's original filing and payment deadline. If the reason you didn't originally file an accurate return is due to your own negligence or an intentional disregard of the tax law, you can be charged an additional accuracy-related penalty equal to 20 percent of the additional tax you owe with the amended return. 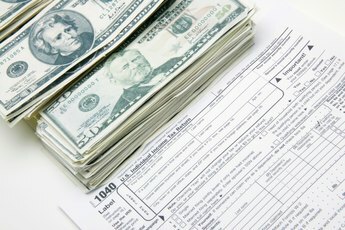 The penalty also can be charged when the additional tax you owe constitutes a “substantial understatement.” Only when the underpayment is more than the larger of $5,000, or 10 percent of the correct amount of tax required to be reported on the original return, is it considered a substantial understatement. The principle benefit of amending your taxes and paying the additional tax you owe is that it stops penalty and interest charges from continuing to accrue. The IRS has three years from the time you file the original return to adjust the tax you owe or to perform an audit. This means that if the agency discovers the error towards the end of the three-year period, it's possible you'd owe much more in interest and penalties than if you voluntarily amended your return two years earlier, for example. What if My Taxes Are Incorrect? 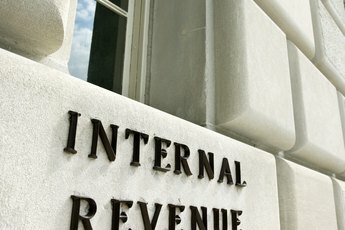 What Happens if I Don't Report Early Withdrawal From an IRA to the IRS? What if I Missed a 1099? Does the IRS Apply Refunds Due to the Money Owed From Previous Years? 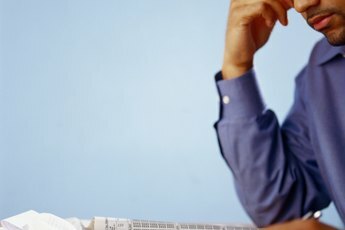 What Happens if I Forgot to Add a 1099-R on My Tax Return? What if You Forget to Put a W-2 on Your Taxes? How Can I Correct a Wrong Social Security on My Tax Return?